Final Live Rehearsals, Hollywood, California, USA - March 14, 1986. Files: 9. :: Size: 289 MB (flac). Personnel: Glenn Hughes - Vocals :: Tony Iommi - Guitar :: Dave Spitz - Bass :: Eric Singer - Drums :: Geoff Nicholls - Keyboards. 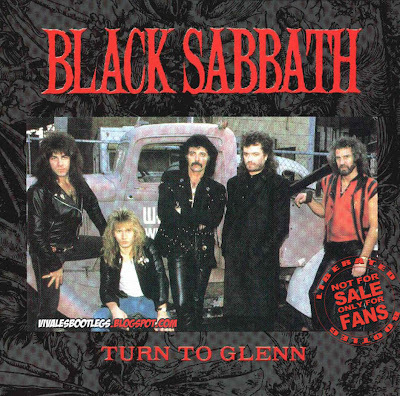 Notes: The only bootleg CD of Black Sabbath featuring Glenn Hughes on vocals. Unfortunately like on the 7" EP "Providence 1986" and all the various tapes that are floading around with Glenn Hughes on vocals the sound quality is not that great. The boot sounds still good compared with the tapes and the EP but don't expect something like a radio show. Good audience recording I would judge. 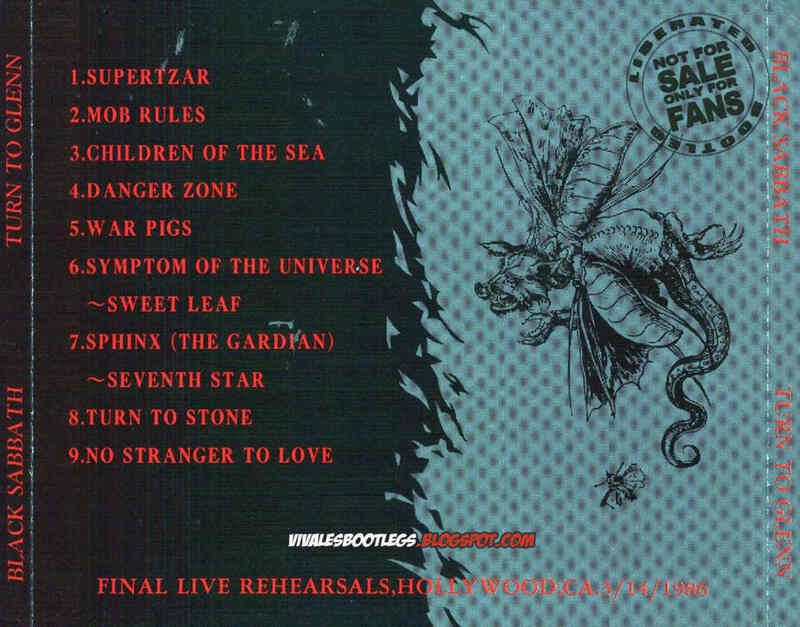 Important to mention: "Turn To Glenn" is the only source for "No Stranger To Love" played live, which nobody who likes the "Seventh Star" era should miss. 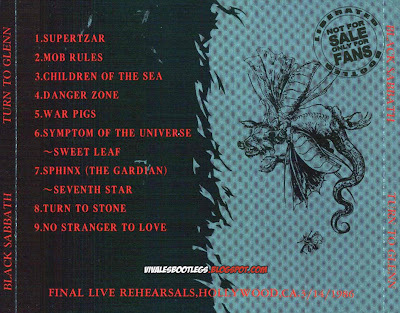 Please mark that these are recordings from a rehearsal, NOT from a Black Sabbath concert played in front of a huge crowd. Released in Japan somewhere in 1995!..<-(Info taken from black-sabbath.de). This is a VERY unflattering tape of Hughes and Sabbath preparing for the SEVENTH STAR tour, which began a week after this was recorded. Glenn Hughes sounds absolutely horrible on most songs, although not quite as bad on the SEVENTH STAR material. He sounds as if he was sick with a really nasty cold, but legend has it that his nose had been broken in a fight. Unfortunately, his vocals don’t improve a great deal in the few live shows that he did with the band before he was replaced by Ray Gillen.<-(Info taken from sabbathlive.com)..
i was always curios of how bad GH was in this tour..
tours where their voice was shot, but unfortunately as this boot shows, Glenn's problem was there even before the first show.